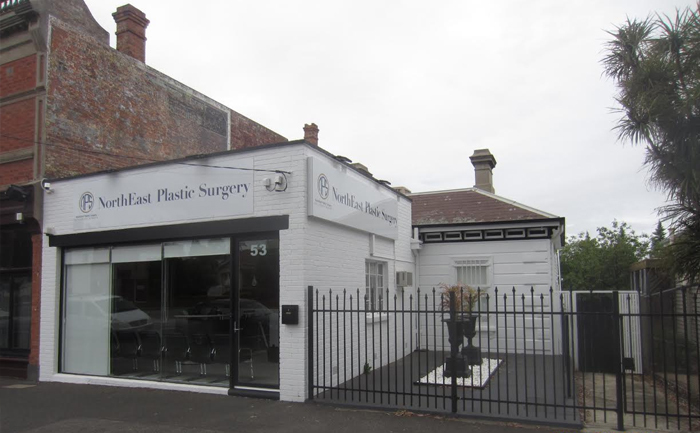 NorthEast Plastic Surgery are a trusted Melbourne name in rhinoplasty and septoplasty surgery. Our talented and experienced surgeons bring an unmatched level of care and professionalism to one of the most commonly sought after cosmetic procedures. Why Consider Rhinoplasty & Septoplasty Surgery? Patients seeking rhinoplasty surgery, commonly known as a nose job, are looking to improve the size and shape of their nose to improve the proportions and overall aesthetics of the face. Sometimes issues with the nose, such as obstruction of the airway, can influence the decision. Your journey towards rhinoplasty / septoplasty begins with a discreet and private, one-hour consultation at our Melbourne clinic. During your initial consultation, your surgeon will assess your suitability for surgery, assess your medical history and develop an understanding of your desired outcomes. Your surgeon will also inform you of the costs, risks and limitations of the procedure. In assessing your suitability, your surgeon will examine features such as skin quality, your underlying anatomy and any previous trauma sustained to the nasal area. If you are pursuing avenues of cosmetic nasal surgery due to an injury, you are encouraged to bring photographs of yourself prior to your injury. Whilst many patients attempt to acquire a specific aesthetic for their nose, we encourage all patients to pursue a more ‘natural’ look in keeping with their overall facial features and proportions, which typically produces more achievable and thus more satisfying realistic results. The lead-up to surgery is crucial to achieving your desired outcomes and ensuring your safety and suitability for surgery. Your surgeon will advise you on which medications, activities and behaviours will need to be ceased or modified before and after surgery. Occasionally, more than one consultation may be required before consent can be given for surgery and your surgeon may request further medical assessment, such as a blood test, to develop a complete picture of your medical situation. Medications and supplements that may need to be ceased before and following surgery include the oral contraceptive pill, aspirin, prescription blood thinners, ibuprofen and other non-anti-inflammatories agents, as well as garlic, ginseng, fish oil and some other supplements. It is crucial that smoking be ceased six weeks before and after surgery, as it can interfere with the anaesthesia and lead to wound complications. Products that contain nicotine, such as patches and gums, will also need to be stopped two weeks before and after surgery. At NorthEast Plastic Surgery, we pride ourselves on an impeccable safety record. As part of our commitment to the health and safety of all our patients, we ensure you are fully aware of any potential complications that could arise with your procedure before giving consent. Though issues are rare, there are risks associated with every surgery, including infection, scarring, excessive bleeding, and wound complications. Any corrective surgery to address complications will incur its own set of risks. Risks specific to rhinoplasty, most of which typically improve over 18 months to two years, include swelling, skin redness and numbness or loss of feeling. Corrective surgery may be required in cases of asymmetry, airway obstruction and issues with contour irregularities of the nasal bony and cartilaginous structures. Corrective surgery is needed in approximately five to 10 percent of patients who undergo rhinoplasty or septoplasty. The cost of your initial consultation is $175 ($225 for weekend consultations). You may be able to claim a portion of your cost from Medicare, provided you have a referral from your GP. If you wish to find out more about any out-of-pocket costs or to book a consultation, please call our friendly staff on 03 9088 5000 or via enquiry through our website. In accordance with guidelines set by the Australian Medical Board, we do not provide set prices for any medical procedures on our website. Your surgeon will be able to give you a personalised quote for your surgery during your initial consultation. Rhinoplasty can be performed internally through the nostrils, without external scarring, though in some cases a small incision under the tip of the nose will be required, resulting in a minor well concealed scar. Septoplasty is performed internally. Your surgeon will discuss the most appropriate access incisions during your initial consultation. Your procedure will be performed by your surgeon under general anaesthesia administered by experienced anaesthetists in an accredited hospital. For a list of our accredited partner hospitals, please refer to our homepage. Patients may be required to stay in hospital overnight or the procedure performed as day surgery determined on a case by case basis. Wounds are repaired using dissolvable stitches and occasionally with a small number of external stitches. Internal nasal packing and an external splint are applied following surgery. Recovery after rhinoplasty / septoplasty takes approximately two weeks and you will likely experience swelling around the nose and eyes during this time. Your surgeon will advise you of the expected recovery time during your pre- and post-surgery visits. Swelling of the nose normally improves six to eight weeks post-surgery though full recovery can take up to a few months. Patients typically return to work 2 weeks following surgery. Your surgeon will advise you on when strenuous activity can be safely undertaken. At NorthEast Plastic Surgery, we understand your privacy is important and hold it in the highest regard. Therefore, we do not feature and before and after images of our patients on our website. Your surgeon will share a number of before and after photos, which have been approved for discreet use by previous patients, during your private consultation.